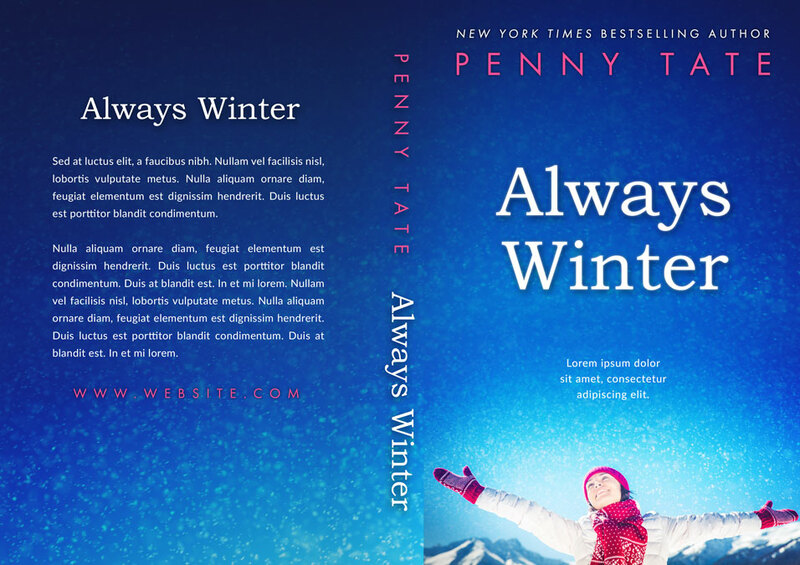 This winter fiction book cover features a woman wearing winter clothes with her arms stretched out. She’s happy. The very blue sky is in the background. It’s snowing. Please enter the information for your book. Please let me know if you have any additional change requests or questions. Some changes may be possible for an additional fee. 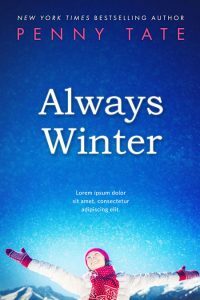 If the book design includes a spot for a text blurb or subtitle, please enter it here. 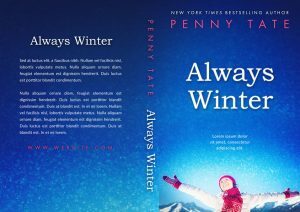 If you are purchasing an upgrade, you will be contacted to get the specs of your book. 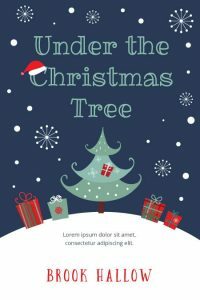 This illustrated Christmas book cover features a tree on a snowy hill with presents on the ground. Their are snowflakes in the air. 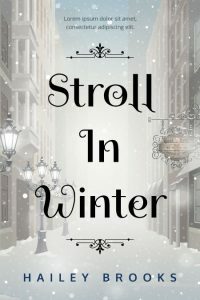 This illustrated winter book cover features a city street covered in snow. It’s snowing. The street is lined with lamp posts. 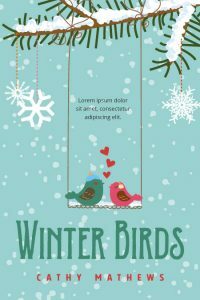 This illustrated winter book cover features two love birds perched on a swing with hearts between them. The swing is hanging from a branch. It’s snowing. 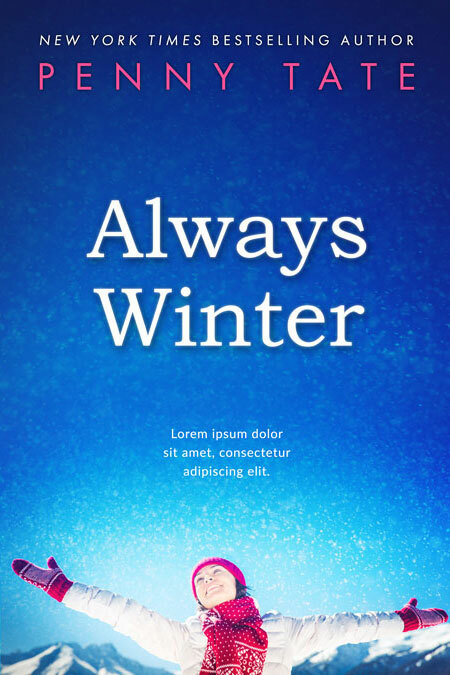 The background is light blue. 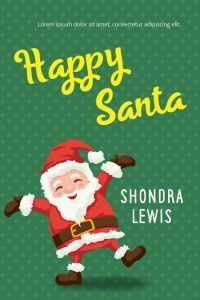 This illustrated middle-grade Christmas book cover features a happy jolly Santa Claus. The background is green. 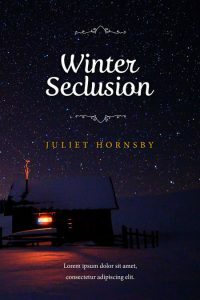 This winter book cover features a small secluded cabin in the snow at night. The sky is covered with stars. 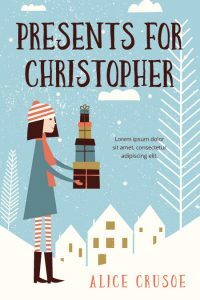 This illustrated chick-lit / young adult Christmas book cover features a girl carrying a stack of gifts. She’s walking outside and dressed for cold weather.